Ursula is Director of Viewforth Consulting Ltd, a specialist consultancy focussed on analysis of the economic and social impact of higher education. 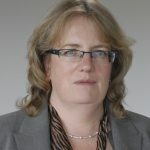 She has led many high profile research and consultancy projects for major UK higher education sectoral organisations such as Universities UK and Jisc as well as numerous individual Universities and colleges, nationally and internationally. From 2007 -2011 she was joint coordinator of an extensive Economic and Social Research Council and Higher Education Funding Councils’ programme on regional impact of higher education. She is currently a Senior Visiting Researcher in Dublin City University and was Visiting Scholar in the Department of Economics, University of Strathclyde (2011-2013.) She was elected FRSA in 2001.